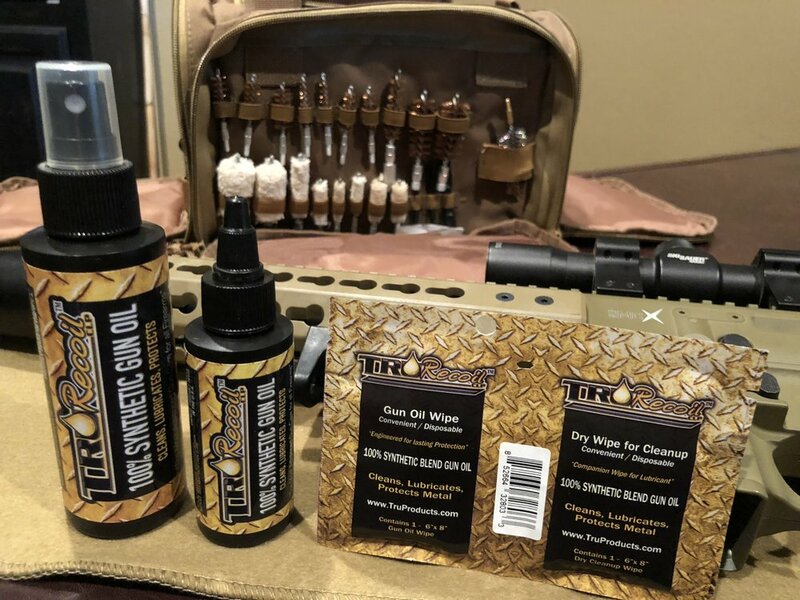 "ADD TRURECOIL OIL TO YOUR KIT"
Brass Brushes and Mops: 0.50Cal/410 gage, 20 gage, 12/16 gage, 39" pull cable, Cable handle, Scrubbing Brush, Patch pullers and patches, Nylon water resistant case with MOLLE strap. Brass Brushes and Mops: .22, .39/9mm, .40, .44/.45 cal 13" pull cable, Cable handle, Scrubbing Brush, Patch pullers and patches, Nylon water resistant case with MOLLE strap. Brass Brushes and Mops: 0.17, .22, .243/0.250, .270, .30/0.308, 0.375/0.380, 0.44/0.45 39" pull cable, Cable handle, Scrubbing Brush, Patch pullers and patches, Nylon water resistant case with MOLLE strap.